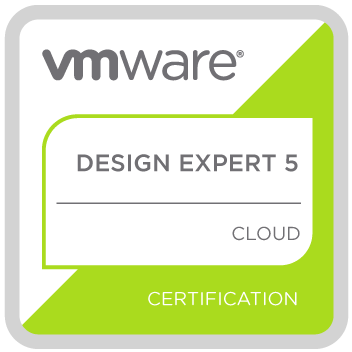 The VMware Certified Design Expert in Cloud Management and Automation (VCDX-Cloud) is the highest level of certification offered for VMware Cloud Management Platforms, including vRealize Automation enterprise design and deployments. The VMware Certified Design Expert program proves top-level skills in gathering and interpreting requirements, and planning, creating, documenting, and testing an implementable design that meets customer objectives and constraints. Develop a customer-facing enterprise design and deployment plan and strategy, including comprehensive logical and physical models and implementation, installation, operating and testing guidance. Time spent on average exceeds 200 hours. Submit the design portfolio that includes all aspects of a full strategic and deployable data center virtualization design and have it approved by a three-person panel. Defend the design in-person to a three-person panel and validate technical, design and critical thinking skills.